Sometimes I feel that as a blogger/writer that it’s my “job” to make things sound good. To take the everyday mundane tasks of my life and make it sound interesting. To make the struggles of motherhood something beautiful and positive. Sometimes that’s true, sometimes just writing it turns my attitude around. The act of looking for the light allows me to focus on the light. 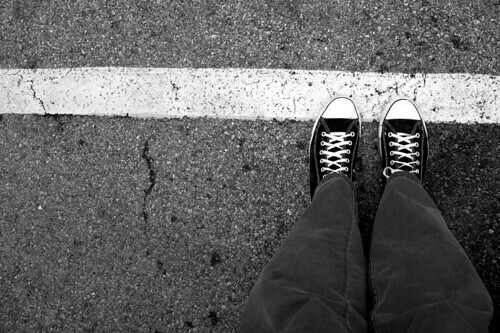 Sometimes it feels like I am toeing the line. Like I’m a big fraud. Because the reality? The reality is that lately I feel like I can “talk the Talk” but I am not “walking the walk”. Not even close. I am short with my kids, my husband. My kids alternate between sick whiny crying messes to bickering, fighting, screaming, crying messes. My house is trashed, from top to bottom. I have a million things started and nothing finished. Christmas is in 12 days. I have nothing bought, not even outfits for the kids. Oh and if one more person tells me it’s because I am pregnant or that I should cut myself a break because I am pregnant I am going to scream, cry or both. The truth is I don’t feel like I am allowed to complain. I don’t feel like I am allowed to bemoan the fact that I was able to keep up in my other pregnancies and I can’t know because “gosh darn it I’m so lucky to have a second chance”. I am so lucky. I am so blessed. But also? Sometimes I am so crabby and overwhelmed and I yell at my sick kids and I'm snotty to my sick (again) husband, and yes sometimes I wish I could just get away for even 1 hour with no responsibility to anyone else. It’s frustrating. If my husband has a bad day at work he can come home and be crabby, and snappy and chalk it up to a bad day. When you stay at home with your kids all day you don’t have that luxury. Your lucky to be able to stay home, to have kids. Your bad day becomes a character flaw, a moral problem. I don’t not love my kids, my life. Every mom should be allowed that. Every mom needs a break every once in awhile. (((hugs))) I'm sorry you are having a bad day :( But you are right, we all have them. I'll be praying that you can manage to get a break and that tomorrow is a good day for you. And that maybe some cleaning fairies will show up (maybe in the form of good friends?) and can help you. And that all the sickness leaves your house. And new outfits for Christmas? It's over-rated I think. So I'd say maybe cross that off your list now - give yourself a break (and no, I do not say that because you are pregnant I say that because you are HUMAN and we all need to learn to give ourselves breaks). I had to this weekend - and I was able to trim some things I thought I "had" to do off my list. I feel so much lighter already. sorry, I'm ranting. it's been an extremely bad week in my house. one that may very well be the beginning of the end. OMFG WHAT?!?!? Christmas is in 12 days?!?! I better get off the computer now. It's so true. Our jobs are 24/7 and we don't even get to have adult conversations with our "colleagues." I feel your pain, I do. Hope everyone in your house feels better soon. A resounding, emphatic yes over here. Not a character flaw -- but a bad day. If having a bad day is a charactor flaw, I am having a seriously flawed week.